Back by popular demand. Our 2011 tee (and now a sweatshirt) with Ilk. 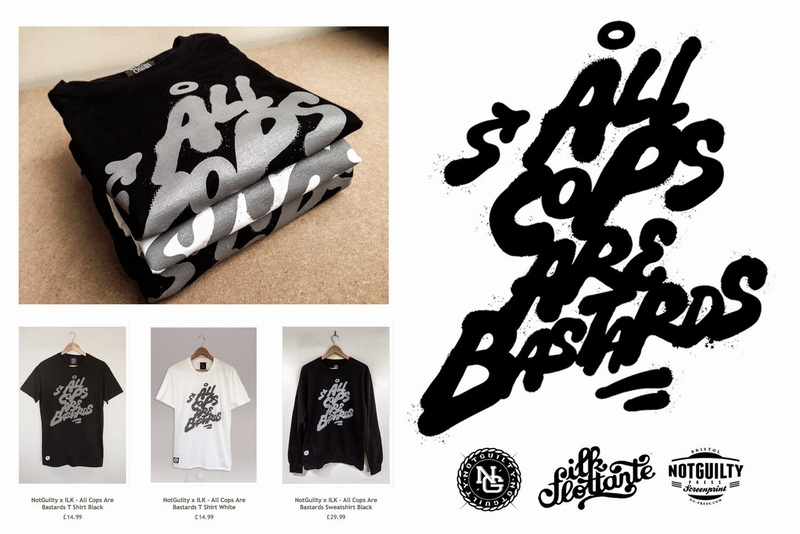 All Cops Are Bastards tee in Black, White, and Black Crew Sweatshirt. Available in the NotGuilty Online shop - while stocks last.